Stocking your pantry, freezer, refrigerator, cellar, and whatever else you have is a great option for some couples. It’s not for everyone but these pros and cons will help you decide! #1 You’ll have everything you need to eat when you return from your honeymoon. #2 You won’t have to do much grocery shopping the first month of your married life. #3 You’ll have handier access to your mom and her advice (assuming you live with her). #4 If well-stocked pantries make you happy, it’ll be fun. #5 You have more time to think about what you want in your pantry. #6 You can plan more carefully (because you have more time). #7 You can take advantage of sales and coupons. #1 You have to decide NOW what you’re going to eat THEN. 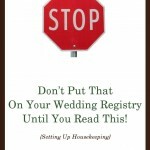 #2 You may have less time before the wedding than after. It will take up time that you may prefer (or need) to spend on other things like wedding planning and spending time with your family. #3 You need a place to store stuff. Your new home might not be available yet. #4 If you can’t put things into your new home immediately, you’ll have to move them. #5 Food will be older when you start to eat it (you’ll need to pay close attention to dates). #6 You may not know ahead of time what you collectively like to eat. Your guesses could be way off. #7 You’ll have more time to obsess about what to buy and where to buy it. In other words, you’ll be more likely to waste time trying to make perfect decisions. So there you are! Seven pros and seven cons (those numbers were not intentional!) 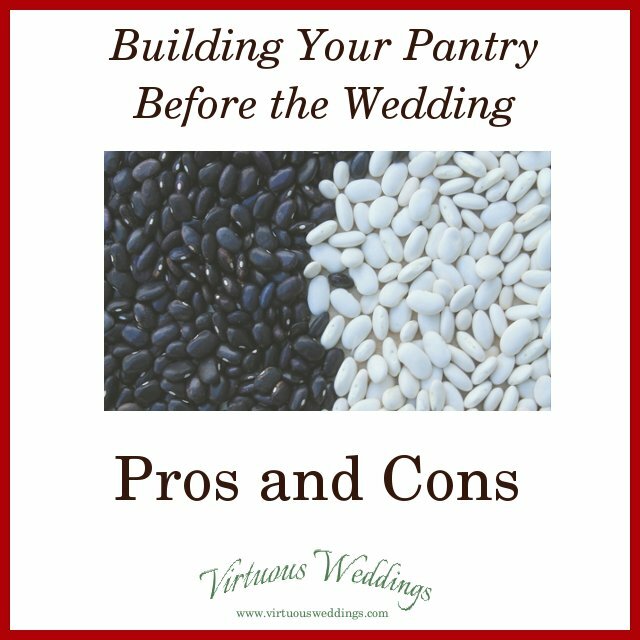 to help you decide whether or not starting to build your pantry before your wedding is right for you. 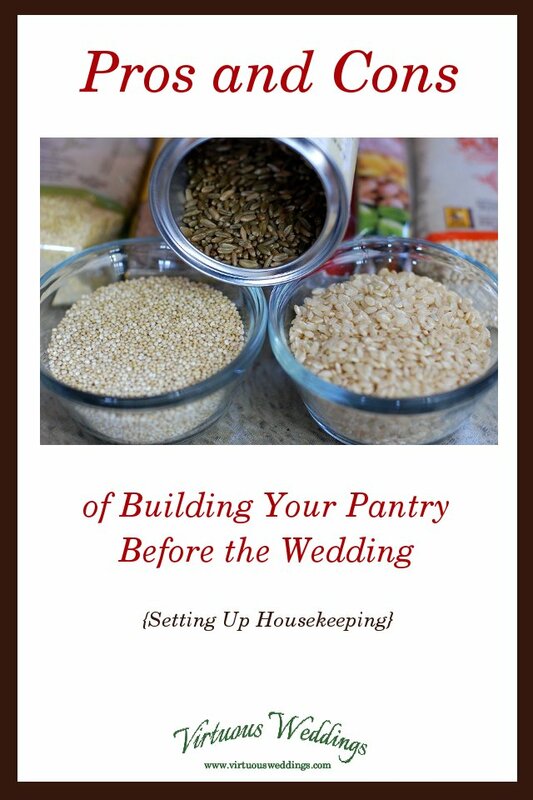 Have you considered stocking your pantry before the wedding? What do you think the advantages and disadvantages would be for you?